This is one of the most common mistakes newbies usually make. Don’t buy a board set if you’re just getting started. The setup of your board does not only depend on your size or weight. Each design and specs should be designed according to your skills and skiing style. People at the local sports outlets may recommend a board set. Even if they are experienced in sports, take note that they don’t know anything about your skills or your preferred style. Remember, you are the one who will use it. The last thing you want to happen is to get the wrong board set and sell it much cheaper than you paid for. As mentioned, instead of buying a board set; you can take advantage of board rental services. Most skiing camps offer this as a package from their accommodation. They also have certified and experienced instructors who can teach you the basics including the importance and how to use each equipment. Theses trainers can also help determine the ideal board type for you. It may take a few sessions before you can identify the right board setup for you. For the meantime, stick to the camp’s rental services until you can finally determine the right one for you. Just like any other sports you want to try, you need to know the basic items. Knowing the basic gears and outfit should point you in the right direction. Some of the items you should have on your list include safety goggles, ski jackets and pants, base layers, boots, and gloves. You should also look for ski binders, and helmets although you can also rent this at the camp. You can buy some of these items at the local shop, but you can save some money by searching online. You can find hidden gems such as branded inner base layers and Obermeyer jackets on sale from online shops. Try your luck to several thrift stores, as well. 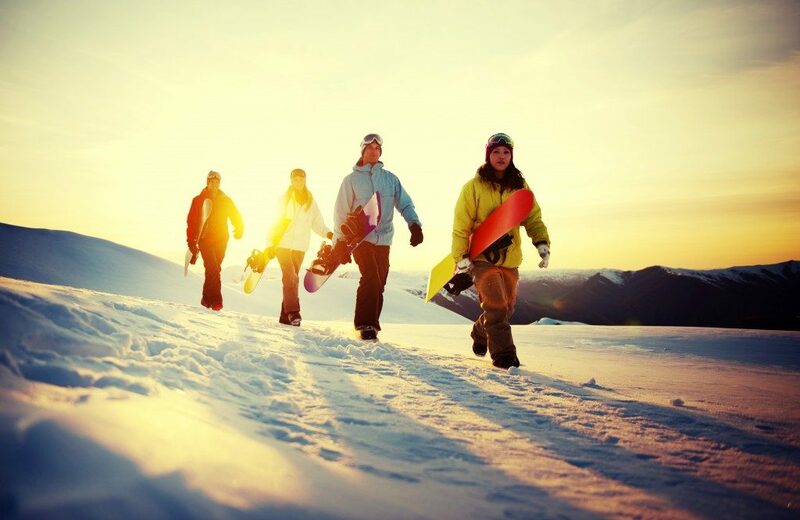 Many skiing camps offer discounted rates when you book early. Look for holiday ski trip promo deals. During peak season, some camps throw in some group packages, as well. Don’t hesitate to ask promos from their branch manager. For sure, you can find some of the best deals such as free skiing lessons with equipment rental or free lunch buffet. A smart traveler knows how to use his or her resources efficiently. Be smart, and practical with your options.